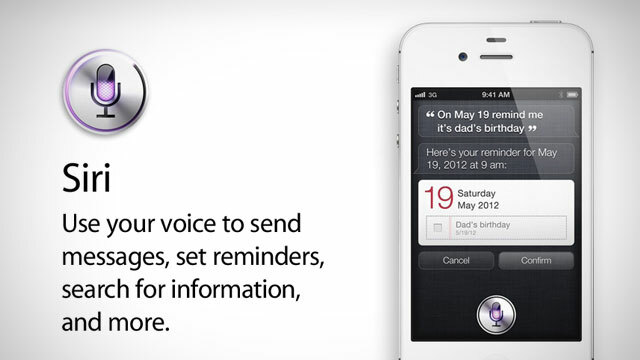 Siri is an app that was made available on the new Apple iPhone 4s. It offers conversational interaction with many other applications which includes reminders, stocks, weather, email, messaging, notes, contacts, clocks, calendar, music, web browser and maps. Ask Siri to do anything just by talking the way you talk and the Siri understands what you say, knows what you mean, and even talks back. Vlingo is one of the best voice-powered Virtual Assistant on Android. It will do whatever action you have told it with such an ease. Some even state that Vlingo is more dominant than Siri in term of usability, capability, accuracy and speed. It can voice dial, open apps, get directions, send text and emails, search the web, find local shops, buy movie tickets and book hotel rooms, update FaceBook or Twitter status etc. The thing I liked the most about Vlingo is the “InCar” feature. In this mode you make calls and send messages without even touching the phone. Just say “Hey Vlingo” and it responds to you. It is another Siri alternative for Android with the image, name and everything. Speaktoit Assistant is a virtual buddy that uses natural language technology to answer questions, launch apps, find information and connect you with various web services, such as Google, FaceBook, Twitter, Foursquare, Evernote, and many others. You can also design the look of your assistant satisfying. She can have different color hair, skin, eyes, clothes etc. You can even change assistant voice instead of robotic Android voice. 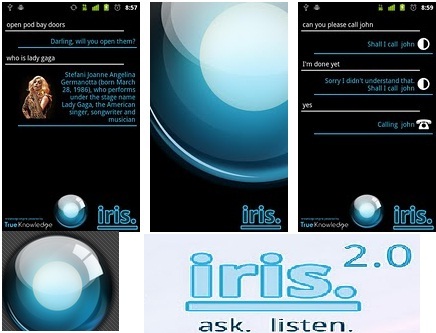 Iris is yet another attempt to replicate the voice assistant application for iPhone. Its features include making calls, searching the web, texts messages, play music, watch videos, finds news and so on. Iris allows you to search on various subjects like art, biology, history, literature, journal etc easily. You need to have “Voice Search” and “TTS library” installed in your phone for iris to work. Edwin is a speech-to-speech voice recognition app for Android phone. It requires Speech Synthesis Data and TTS Extended apps to be installed in the phone to work. The assistant is outfitted with features like tweeting, weather forecast, calls, SMS, search, date and time management, translation, application launcher and tons more. EVA is simply the best Siri-like Voice Assistant for Android. It allows you control your Android device just with natural language. The coolest part is that you can activate EVA by just shaking your phone. Its features include making calls, managing contacts, contact groups, lists, calendar, making memos, expense reports, announcing incoming calls, getting basic stock quotes, posting on FaceBook, mapping addresses and locations, starting applications, loading web pages or bookmarks, etc. Try out all these Siri like Android Apps to find the one that works best for you!